When you were little, The Game of LIFE was one of the most exhilarating games to play. Every card you drew and every move you made would determine what your future would look like. Now you are grown up, and paying for college isn’t as easy as drawing a card from the banker and hoping that your career will pay for it. Now the Game of LIFE is real, and so is paying for college. “Accidentally” flipping the game board over isn’t an option here, so pay close attention to the guide below. 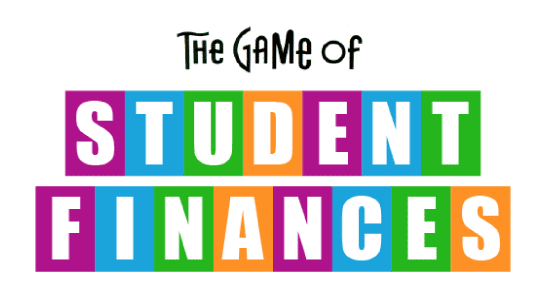 Following suit of our favorite childhood game, here are the instructions to the very real Game of Student Finances. Tackling your finances when you are a student can be overwhelming. When we played LIFE, we didn’t have to call our student loan manager or figure out what student loans even were. We just followed the squares. Consider this guide your game board. Here are your squares. Spin. Move one space now. In LIFE, you get the choice of college or career. But, considering you landed on this page, you have probably already decided on college. One thing that our favorite childhood game taught us, though, is that you usually end up with a higher paying career if you have a degree. College can begin to seem worthless when you start calculating how much it will cost, but even LIFE knew that some careers can only be obtained with a college degree. Many students immediately resort to loans to pay for their education. Loans, however, should be your final source of funding for college. Focus first on other sources of funding for school. In LIFE, we were required to move spaces on the board no matter how we felt. But in your college career, you have the chance to make choices. Instead of resorting to loans, you have other options to pay for school. Spin. Move 1 space to obtain a scholarship. Scholarships are awarded for just about everything. You can receive scholarships for being a minority, writing well, or being involved in a specific field. Even if you are currently enrolled in college, you can still receive scholarships. Remember those handy “Share the Wealth” cards in LIFE? Yeah, that is what a scholarship is essentially. Most people know that scholarships exist; they just don’t know where to begin with them. Here are some of the most common scholarship questions that students ask. Start by checking your college’s website for scholarships they offer. Many institutions award plenty of scholarships each year that many students are unaware of. These scholarships are rarely sought after, which increases your chances of being selected. Also, these scholarships are usually tailored to your major, making it easier for you to find a scholarship that matches your qualifications. If you know what school you would like to attend, you can apply for these scholarships even before you begin attending your school. Other popular ways to find scholarships are through online scholarship portals. Some of the best scholarship aggregators are found online. Some sites to check out for scholarships are the CollegeBoard’s Scholarship Search, Fastweb.com, or Scholarships.com. When searching for scholarships through these sites, be sure to uncheck the boxes that may allow these sites to solicit your information to advertisers. Collegeboard definitely will not allow this to happen, but other sites may. Most of these sites can be very helpful; you just have to read the fine print. Another way to find scholarships that you may be eligible for is through filling out the FAFSA. This one isn’t going to be as easy as landing on a square. Most scholarship applications require an essay, some form of academic transcripts, or a form of visual representation that you are qualified to receive this scholarship. You can always find all of the information you will need to apply directly on the scholarship’s website. The fact remains, scholarships can only cover so much, but by applying for scholarships you can relieve yourself of some of the debt you may accumulate. Think of your money like you did when you played board games. Every time you were able to snag money from one of your wealthy opponents because of an achievement, you didn’t think twice. Scholarships work the same way. If you are getting money in this way, you are paying less money to “the banker” in the future. As we mentioned before, scholarships are also available to students who are already enrolled in school. Check with your advisor at your college. They often know about scholarships students wouldn’t be able to find on their own. As soon as you decide you want to attend college, begin your scholarship search. Scholarships are essentially free money. If you are attending college, free money of any sort is always a good thing. Apply for scholarships no matter what your financial situation looks like. Beware: Many scholarships have strict deadlines. In LIFE, we chose to (or not to) attend college the moment we began playing the game, and that is exactly what scholarship providers think you have done here as well. Scholarships are fantastic, but you must be quick with deadlines. The moment you know you want to attend college, or are even considering it, apply for scholarships. These deadlines often occur early in the year and are very firm to ensure that the company has enough time to review applications before selecting a recipient. The second most common form of financial aid is through grants. Grants are free money that is awarded to students based on their economic situation. Think “Share the Wealth” cards, but from the government. If your family falls into a certain income level, you will be awarded money by either the state or federal government to help pay your schooling. Unlike scholarships, which are merit-based, grants are need-based, so your family’s income is accounted for. How do I get grants? The FAFSA requires you to know a bunch of information about both your and your parent’s financial history. If you are someone’s dependent (usually your parents), then you will need most of this information for them as well. The FAFSA takes around 30 minutes to complete, which is really only an average play of your favorite board game, LIFE. Perspective matters here. Thirty minutes may seem like a long time to fill out an application, but if it gets your car to Millionaire Estates quicker, the detour is worth the wait. The FAFSA is the way your school determines how much money you need to attend school. The FAFSA calculates how much money it will cost you to attend school minus the amount of money your family is expected to contribute to your schooling. Essentially, once your financial situation is assessed, you are given one of those fancy dollar amount LIFE tiles and off you go. Your school then tells the banker (the government) that you deserve the amount of money printed on your tile. They also lay out any money they would be willing to lend you. The FAFSA often has funds that are on a first-come, first-served basis, so filling your FAFSA out early is only to your advantage. The FAFSA is available on January 1 every year. The FAFSA is completed online on the FAFSA website and is completely free. For a complete guide to filling out the FAFSA, visit the Department of Education’s guide to filling out the FAFSA. The instructions are as simple as a board game. Just a little set up, and you are on your way to victory. The Federal Pell Grant: The Pell Grant is the most common grant that exists. The Federal Pell Grant, unlike a loan, does not have to be paid back. The amount of the grant changes every year, but for the 2016–17 award year (July 1, 2016, to June 30, 2017), the maximum award is $5,815. The amount you get, though, will depend on your financial need, your cost of attendance, your status as a full-time or part-time student and your plans to attend school for a full academic year or less. Your school can apply Federal Pell Grant funds to your school costs, pay you directly, or combine these methods. Consider a Pell Grant to be one of the most common LIFE tiles. Most students are eligible, but your circumstances will determine how much money you receive. Instead of spinning for your luck here, though, your aid is calculated by the amount of money the government believes you need to go to college. Federal Supplemental Educational Opportunity Grant (FSEOG): This grant is specifically for undergraduate students who have exceptional financial needs. LIFE didn’t account for this type of grant, because they considered every player to be equal. But in the real world, we know not everyone is set up with the same college financing situation. If you apply for the Pell grant, but still qualify for more aid, this may be an option for you. Not all schools choose to offer this grant, though. Check with your financial aid office to find out if you qualify. TEACH Grant: The TEACH grant offers money for those specifically studying to become a teacher. The Game of LIFE prepared us most for this type of grant. Think back to when you played LIFE. If you chose not to go to college, you couldn’t obtain certain career cards. Also, these cards would grant you more money in the long run. Because teachers generally do not make a high salary, this grant helps them make their degree worthwhile in exchange for doing the public a service. The TEACH grant provides students with up to $4,000 a year for entering this low-income, yet high-need profession. To receive this grant you must agree to teach in a high-need field at an elementary school, secondary school, or educational service agency that serves students from low-income families for at least four complete academic years within eight years after completing (or ceasing enrollment in) the course of study for which you received the grant. If you do not meet these conditions, the grant turns into a loan that you must pay back. Iraq and Afghanistan Service Grant: If your parent or guardian died while engaged in military service in Afghanistan or Iraq, you may be eligible for this grant. This grant is only available to those who meet this criteria and DO NOT meet the requirements for a Pell Grant. The first step to acquiring any of these grants is filling out the FAFSA. Just as you can’t move along the game board without spinning, the FAFSA is the way to make your move for financial aid. The most obvious, but most influential method of paying for college is by starting a savings account as soon as possible. If your parents didn’t begin saving for you when you were younger, you should begin saving as soon as you decide you would like to attend college. LIFE taught us that the player with the most money at the end of the game won. While this isn’t always true, we can still use this model to focus on saving. Saving is one of the most effective ways to win LIFE, and to attend college. College savings allow students to fund their future on their own, which saves them or their family more in the long run. Saving for college is hard because it can seem as though you are saving for nothing, but saving is one of the easiest ways to accumulate money for college. If you are still in high school, get a part-time job and open a savings account. Give one of your parents access to the account and ask them to move money into your account every time you get paid. The first step to getting paid is paying yourself. If you factor your savings into your budget just as you would your bills, you won’t feel like you are losing money. Don’t use student loans to fund spending in school. Only use your loans to pay for the essential costs of school. Working part-time while in college is one of the best ways to rid yourself of debt and accumulate savings. Start now by saving to pay off your student loans and when you get out of college you won’t be as strapped for money. Savings is one of the most important and effective ways to pay for college. Spin the wheel. What did you decide? College or career? If you are on this page, college is most likely the answer to your question. So we chose college. Now what? LIFE gives us $10,000 to begin with, but where does the rest of the money we need for college come from? The banker. The banker dishes out loans and makes you get into debt for schooling before you even know what your major is going to be. Real life is pretty similar. For most college students, student loans are necessary to pay for school. The fact remains, college is expensive. Even if you have been saving for years and applied for a bunch of scholarships, you can still be left owing an overwhelming amount of money for your education. This is when student loans can come in handy. Student loans, while they should be used as the last resort, are not something to deter you from going to college. College has proven to be worth the money time and time again. Being more educated, and specializing in a particular field, is one of the most effective ways to get hired for a better position than you would receive as simply a high school graduate. We see that in LIFE. If you are forced to change your career, yet you don’t have a college degree or experience, you are out of luck. The real world follows the same model. Student loans are confusing, and, most of the time, students don’t even understand what they are signing until after they actually sign. Students just give the banker their promise to pay back the money they’re loaned and hope for the best. Sure, that may be an effective way to win a board game, but that isn’t the best way to navigate your future. Consider the next section the FAQs of the student loan instruction booklet. How do I get student loans? Student loans, as with mostly everything else that involves your college finances, are found through filling out the FAFSA. After you file your FAFSA, your college will send you your financial aid award letter, which details how much you will receive in aid and connect you with loan providers that can lend you the money you need for college. While the federal government provides these loans, and the money you owe will be returned to the federal government, you have a company that manages your loans. The loan servicer is the one that handles the billing for your student loans. They will also work with you on repayment plans and consolidating your loans. It is important that you maintain a relationship with your loan provider and know the status of your loan. Think of your loan servicer as the banker in the Game of LIFE. You can see and hear your friend managing the bank’s money right in front of you. If you want to allocate your resources differently, you can simply ask your friend. Your fellow player is handling the money that technically belongs in the box. The money belongs to the Game of LIFE, but your friend, the banker, is the one who calls the shots of your funding. This is your loan provider. Your loan provider is assigned to you by the federal government and may change at any time. If your loan provider changes, be sure to contact them to make sure they still have all of your information up to date. If your information is incorrect and they try to contact you about your loan, you could run into trouble. If you transfer schools, update your permanent address or change your name, you must update your loan provider. You must repay your loans at some point, and when you do have to repay them, you will be required to pay interest on these loans. LIFE required you to pay your loans when you retired, but real student loans on the Standard Repayment plan give you 10 years to repay your loans. Think of interest as a charge you pay for borrowing money. Interest is factored as a percentage of the amount of money you borrowed. More on interest later, though. When borrowing for student loans, you should only borrow as much as expected from your first year’s income. “Calculate your total debt for all years of school. To get a ballpark estimate, multiply your first-year loan by the number of years of your program — for instance, multiply by four if you’re earning a bachelor’s degree. That should get you to within 15% of your total loan debt. To find salary information, check out websites such as salary.com, payscale.com or glassdoor.com. Now it’s time to learn the difference between federal and private loans. The federal government has two types of student loans available, the Stafford Loan (or the Direct Loan) and the Federal Perkins Loan. Your federal loan is your banker loan in LIFE. Even though LIFE doesn’t charge interest, the real world does. The Direct Loan is the most popular student loan, so we will go into this one in more detail. The Perkins Loan is only available for students with exceptional financial needs. Direct Subsidized Loans: Made to eligible undergraduate students who demonstrate financial need to help cover the costs of higher education at a college or career school. This is your run-of-the-mill, spin the wheel loan. This loan is provided to most players because it ensures you don’t make payments while in school. Imagine if you were navigating the game board and hit a square that said “student loan payment” right after you hit the square that says “textbook payment.” That would be difficult, so the subsidized loan aims to avoid that. Direct Unsubsidized Loans: Made to eligible undergraduate, graduate, and professional students, but in this case, the student does not have to demonstrate financial need to be eligible for the loan. Direct Unsubsidized loans follow the same “banker” to student loan model, but students are required to make payments while in school. Direct Consolidation Loans: Allow you to combine all of your eligible federal student loans into a single loan through one loan servicer. Direct Subsidized Loans and Direct Unsubsidized Loans are the most common student loans. Subsidized simply means that the federal government pays interest on your loans while you are in school and for six months after you graduate. Interest automatically occurs in Direct Unsubsidized Loans. If you chose not to pay your interest while in school on an unsubsidized loan, your interest will be added to your principal amount (or the overall amount of your loan). Your college or institution decides how much you can take out in federal loans based on the cost of attendance for your school. Visit the Federal Student Aid website to see an in-depth comparison of subsidized vs. unsubsidized loans. Private loans should be your last resort as they often come with hefty interest rates. Federal loans cap out at a certain amount of money, meaning you can only borrow so much. If you need more assistance in paying for college, you can apply for a private loan. Private loans are distributed through banks and corporations that are willing to loan you money for your education. Because these companies are private lenders, they charge a higher interest rate. Imagine asking a fellow player to loan you money during LIFE. You would be forced to pay them extra because you would be borrowing their personal money. When you borrow from the government, which would really be the “banker” in LIFE, you are borrowing from a larger pool of money. While federal loans will not require you to pay any of your loan off while you are in school, private loans often require that you make payments while in school, which can be difficult for students to manage while also making time for school. The biggest problem with private student loans is the interest rate that is charged on the loan. While federal loans have fixed rates, private loans can often have variable rates, meaning that they change as the market changes. This could cause an extreme increase in your interest rate. In most cases, private loans require that you have a cosigner or someone with credit to vouch for your payments, whereas federal loans do not. These are all just things to consider when applying for a private student loan. If you use federal loans to pay for most of your schooling and private to cover the final amount, interest won’t affect you all too much. What is interest? How do I get a good interest rate? As mentioned before, interest is the money you pay for borrowing someone else’s money. Think of it this way: what does it cost to borrow money? The answer is simple: more money. So if you want to pay for a large item like a house, a car, or say a college education, but you can’t afford it all at once, you can take a loan out. A bank or the government can offer you a loan. The charge for this luxury? You must pay back the institution from which you borrowed the money, plus a little bit more. That is ultimately the way that a loan provider makes money — they charge you for borrowing their money. The longer you take to repay your loan, the more interest you will accumulate. Congress sets the interest rate for federal student loans, which is why a federal loan generally offers the lowest interest rate. Spin. Move Three Spaces. Obtain Career. Add Kids to Car. LIFE taught us this lesson from the start: to make more money and obtain a better career, you may need to take out a student loan. Student loans are something that many people fear and spend time worrying about. The truth, though, is that taking out student loans isn’t the end of the world. You just have to be smart when repaying your loans and managing your finances. What repayment options do I have on my student loans? LIFE gave you until retirement to repay your student loan debt. The truth: you will never find a deal as good as that one. Although you may select or be assigned a repayment plan when you first sign your student loan, you can change this at any time. You should contact your loan provider if you would like to discuss your repayment options. The Federal Student Aid website lists all of the repayment options based on your specific loan. You can view their chart that lists the various repayment options. Most students who do not select a repayment plan are placed on the Standard Repayment Plan, which allows you 10 years to repay your student loans. Consolidating your loans allows you to make one payment instead of having to pay each loan separately. This option can offer you lower monthly payments, which can make your loans more manageable. But the downside of this is usually an increase in your interest rate. Talking with your loan provider is the best course if you think you may want to consolidate your loans. Studentloanborrowersassistance.org listed the pros and cons of debt consolidation which are listed below. In the past, many borrowers consolidated their federal student loans to save money on interest payments. This “benefit” was not as great after 2006 when interest rates became fixed. The interest rates for debt consolidation loans are calculated based on the average interest rates of the loans that you are consolidating. If you have variable rate loans from before July 1, 2006, you may be able to get very significant interest rate reductions by consolidating. Borrowers with more recent loans may also get a benefit now that interest rates are changing each year. You should check the interest rates on your loans. The Department of Education has more information about consolidation loan interest rates. Consolidation extends repayment, often lowering monthly payments, but creating more overall costs in interest over the life of the loan, and extending your obligation further into the future. If you are close to paying off your loans, consolidation may not be worthwhile. You may lose some rights by consolidating. This is most clearly a problem if you consolidate federal loans into a private consolidation loan (you would lose the rights associated with federal loans). You may also lose some options and protections if you consolidate certain federal loans, particularly Perkins loans, into other federal loan programs. Parent PLUS borrowers who also have other federal student loans and choose to consolidate with Direct Loans will find that the PLUS loan taints the entire consolidation loan and will mean that they will not be eligible to repay the consolidation loan using income-driven repayment. If they wish to consolidate, parent PLUS borrowers may exclude the PLUS loans from the consolidation and pay them separately. These borrowers should also be able to consolidate and choose ICR. Consolidation allows you to put all of your loans together and make just one monthly payment. This is not as useful as it used to be for most borrowers since nearly all new federal loans are made through the Direct Loan program. The Department of Education says it is trying to place borrowers with multiple Direct loans with a single servicer. You may get an interest rate break, especially if you have variable rate loans. Consolidation is one way to get out of default and back into current repayment. What is my current student debt? A simple debt calculator can keep you updated on your debt. The New York Times has provided one of the most cohesive debt calculators that allows you to enter your loans and interest rate to see what you need to earn to pay your debt off. This loan calculator also allows you to enter a school name and view the average debt for that school. Repaying student loans can be one of the most anxiety-inducing thoughts for recent college grads. The fact remains, repaying student debt is not as easy as LIFE made it seem. In LIFE, once you reached retirement, you were set. The game ended, and you put away the box. For most, though, student loans are to be paid off well before you reach retirement. Do not avoid your student loans. Even if you are struggling to find a job directly after graduation. If you’re still searching for a job in your field or are working on moving up in the ranks and making more money, student debt can feel like a weight that you will never be able to shake off. Here are some methods to repay your student debt as quickly as possible. One of the most effective ways to pay off your student debt is by paying more than your minimum payment each month. If you pay more than you are expected to, your payment will diminish quicker. LIFE analogy: When you played LIFE, you could repay your loan at any time throughout the game. If you found that you won a game show or inherited some money, many players would put that toward their debt. When we are adults, though, these increases in income can seem like an excuse to spend more. You should, though, apply all extra money to your student loans. If you set up automatic payments, adding extra money to your monthly payment won’t seem like extra. But, that money has to come from somewhere, and unfortunately we can’t just draw a card and magically conjure up an inheritance…but man, would that be nice. Here are tips for stretching your dollar as a recent college graduate. You have just graduated college and found a job in your field, but it doesn’t pay as much as you would like. Side jobs can really help bring in more money when your budget is tight. If you use the money that you receive from these side jobs to strictly pay off your student debt, your remaining balance will go faster than you think. Many post-grads look to wait tables or bartend for extra cash. These jobs allow you to work nighttime hours (so that you can still maintain your full-time job) and you can often make a lot of money in tips. In the age of the Internet, odd jobs flourish. How many times have you taken an Uber in the past month? Now imagine you are driving that Uber. Uber or Lyft are great ways to make side money. When you have free time, you can drive and make money. How simple is that? Another website that allows you to make side money is TaskRabbit. TaskRabbit is currently only available in large cities, but you can also work remotely as a TaskRabbit. Essentially, you list your skills as a worker and when someone needs a job completed, they contract you for this task. Even if you have a knack for website design or writing, these jobs are listed on TaskRabbit. It is surprising how many of your skills are valuable to others. Remember, just like in LIFE, you now have a degree to add to your résumé. While the big, bad real world doesn’t always see this for what it is, your degree will generally be respected. If you are competing with someone for an odd job and you have a degree, an employer may be more likely to hire you. Show them what you spent so much money to earn. Use your newfound knowledge to your advantage. If you are good with pets or kids, sign up with Rover or Care.com. These type of websites allow you to connect with people for jobs as a dog walker or a nanny. On Rover, you can offer your skills as a dog-walker, house-sitter, dog-sitter or even just for drop-in visits. On Care.com, you are matched with families who are searching for a nanny. The job can range from just one night to full-time, so it is flexible. You can also find pet-sitting jobs or household chores on Care.com. Turn your trash into someone else’s treasure. If you have clothes that you don’t wear anymore but know they would be valuable to someone else, set up a Poshmark account. This account will allow you to sell your clothing through an app to anyone who is searching through Poshmark. If you have an eye for fashion, you can even browse your local thrift stores for things to upsell. Sign up for focus groups or complete online surveys. Companies spend millions of dollars each year learning what the public thinks of their products. You can even complete some of these online. Check out websites like FindFocusGroups.com for more information on focus groups or Swagbucks for surveys. Think back to sitting around your coffee table playing LIFE. When you had to hand your sister 500 hard-earned-bucks for a fender-bender, you were furious. As if she deserved the money leaving your hands. When you physically see your payment leave your hands, it is a lot easier to save money. Many financial websites encourage post-grads to live a cash-only lifestyle while saving. To build credit, use your credit card for recurring monthly payments. But, for things like groceries and entertainment, use cash. Taking only a certain amount of cash out of the bank will prevent you from going over your budget. Using an app such as Mint can be a great way to maintain a budget during college and post-graduation. Mint connects to your bank account to offer a real-time look at your bank account. Mint uses the same security measures that banks and services like Quicken use, so you can be sure that your finances are safe. 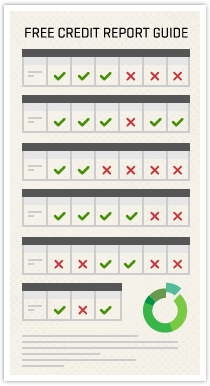 Mint puts all the hard work into creating a budget so that you don’t have to. If fancy apps aren’t something you’re interested in, use a simple Excel spreadsheet or even pen and paper. Simply seeing where your money is going will allow you to allocate your expenses to your student loan payments instead of to your morning coffee. The Federal Student Aid website offers tips for creating a budget specifically for a college student, which you can view here. The most important thing to remember when taking out student loans is that you will have to pay them back. While, in most cases, you have 10 years to pay off your student loans, paying them off early will only save you money in interest in the long run. Always make your payments on time. Always. Your student loans are real debt, although they don’t often seem like that while you’re still enrolled in school. Defaulting on your student loans hurts your credit in the long run. If you hope to buy a house one day or send your own child to school, you need to make sure you keep up with your student loan payments. Paying your student loans may seem difficult, but by working odd jobs you can often pay off your loans in just half the time. Always pay more on your loans than you are required to pay. If you cannot pay back your loans because you are out of work or decide to attend graduate school, you can defer your student loans or apply to have them reduced. Be sure to make your interest payments on unsubsidized loans, or your interest will accrue. Paying your loans immediately is always a better option, but if you are unable to do so, deferment is there to help. To learn more about deferment, visit the federal student aid website. StudentLoanHero has written a comprehensive guide to paying more than your minimum payment on your student loans, including an email template to send to your lender. Follow their tips to ensure that you are using your money wisely. Spin. Move three spaces. Where do you finish? Millionaire Estates or Countryside Acres? Life is not a board game. Okay, literally LIFE may actually be a board game, but the choices you make as a person can not be shoved under the rug or flipped over when you are finished with them. Managing your finances as a student can seem like one of the most impossible tasks. Rest assured, we didn’t play with money for all those years to come out on the dark side. Manage your funds, be aware of who your loan provider is and understand the money you are investing in college. Hey, we might not all end up at Millionaire Estates, but with these basic tips we can get the banker off our back and focus on adding blue or pink pegs to our car.